Marshals and sheriffs were in high demand in some of the most lawless settlements as well as the numerous mining camps that dotted the West. 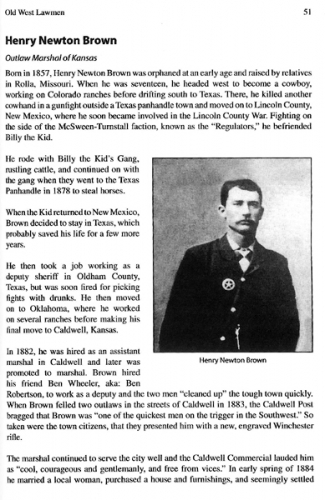 Though the vast majority of these lawmen were honorable and heroic figures, ironically, many of them rode both sides of the fence and were known as outlaws as well. 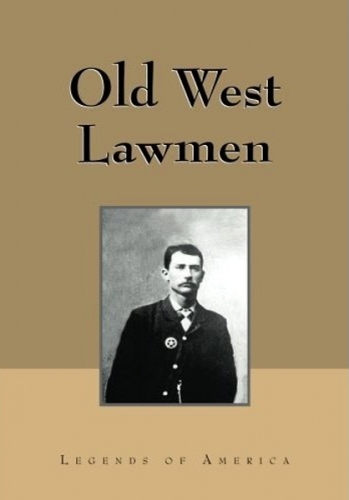 Old West Lawmen is a collection of stories featuring 57 lawmen. 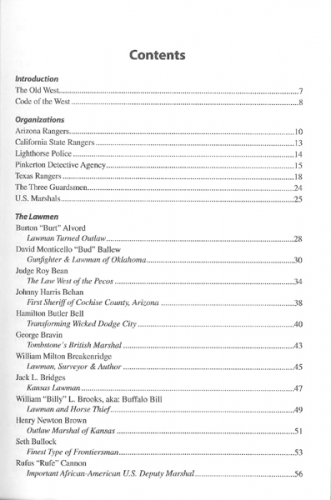 Included are more than 70 vintage photographs plus articles about various organizations like the Texas Rangers, U.S. Marshals, and the Pinkerton Detective Agency. 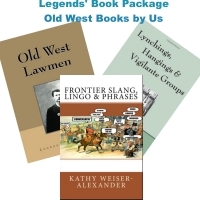 This is the first in a series of books to be published on Legends of America's favorite topic -- The Old West. Soon, you'll see outlaws, lynchings, stagecoaches, and bunches more. Autographed by the author. 7"x10" paperback -- 228 pages.